The unibody aluminum 17" MacBook Pro was first released in January 2009. The keyboard is backlit, the entire trackpad acts as a button and the model has a black wireless window (plastic piece on back edge of laptop). Style another device with "Colorful Kittens"
Skins provide low profile protection with no bulk and protects your 17-inch Apple MacBook Pro from scratches. The unique weaved adhesive allows for fast, easy and accurate application, and goo-free removal. Make your 17-inch Apple MacBook Pro uniquely yours. 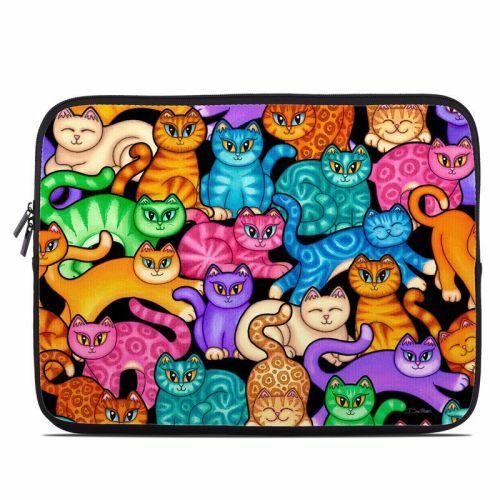 iStyles MacBook Pro Pre 2012 17-inch Skin design of Cat, Cartoon, Felidae, Organism, Small to medium-sized cats, Illustration, Animated cartoon, Wildlife, Kitten, Art with black, blue, red, purple, green, brown colors. Model MBP17-CLRKIT. Cases are available for other electronics but it is important never to enclose a 17-inch Apple MacBook Pro in a case. Computing devices can become hot and they need to dissipate heat during operation. If the 17-inch Apple MacBook Pro is enclosed in a case, the device will not be able to "breath" as well, resulting in higher operating temperatures that can cause reduced performance and shorten electronics lifespan. We recommend using a Skin for styling and scratch protection - when you need to transport the 17-inch Apple MacBook Pro, put it in a padded sleeve or bag. 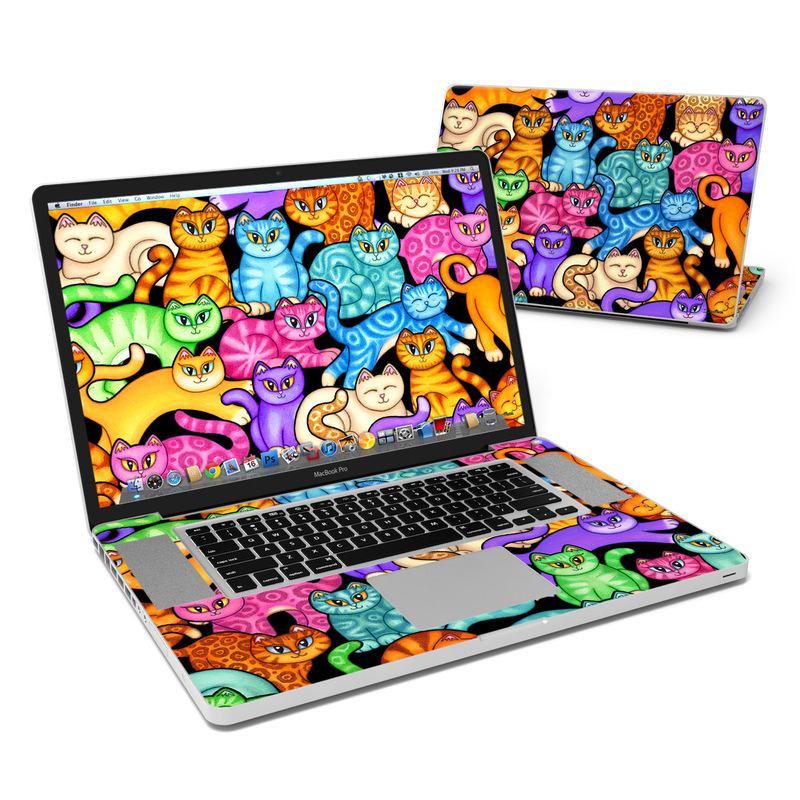 Added Colorful Kittens MacBook Pro Pre 2012 17-inch Skin to your shopping cart. View your Shopping Cart or Style Another Device with "Colorful Kittens"